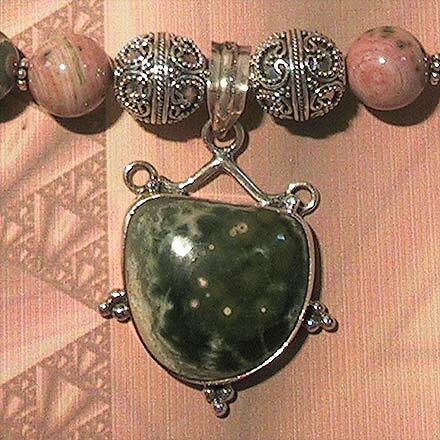 Sterling Silver Ocean Jasper Necklace. See Closeup. 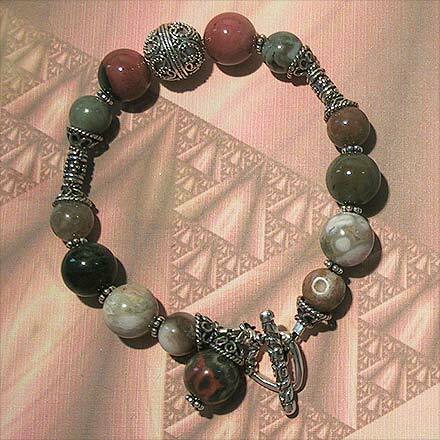 Sterling Silver Ocean Jasper Bracelet. 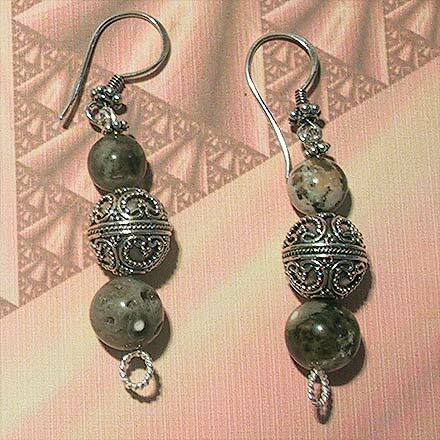 Sterling Silver Ocean Jasper Earrings. 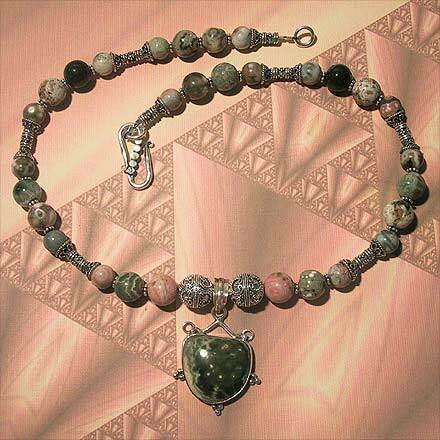 A nice little 1¾" pendant of Ocean Jasper hangs from an 18¼" necklace of assorted colors of Ocean Jasper beads. The matching bracelet is 7¾".